Intimus Dual Shaft Disintegrator - CD, DVD, Blu-Ray, Hard Drive, Paper, USB key Disintegration. 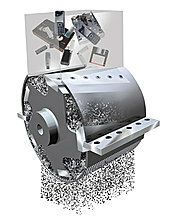 Complete Data Destruction for multiple media formats. 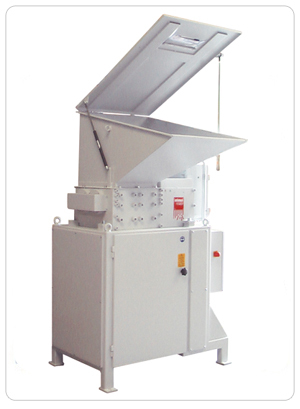 Using the unique Hybrid Technology, the intimus dual shaft disintegrator makes perfect use of both shredding and disintegration. Designed for industrial applications, the shredding section is equipped with 30 mm wide knives from special tool steel and a robust electric geared drive. Knives are hardened to special specification and use a special geometry to provide for perfect processing of HDD and other media. 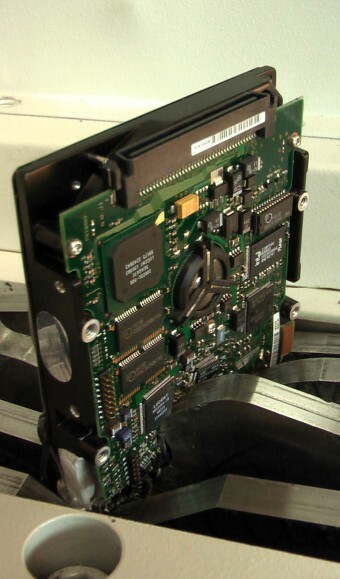 Via the feeding slot located in the top cover, media can be continuously fed to the cutting block. Once shredded, the remaining particles run through the installed disintegration screen enabling the system to offer a practical throughput of 22 to 50 HDD per hour at low wear and energy consumption. As with the regular Single Shaft Disintegrators, users have the option of installing a screen with a different mesh size to adapt the final granule size to the required demand. As a standard, mesh sizes of 6, 8 or 10 mm are available. High volume technology, proven for decades, is the basis of the intimus®POWER Disintegrators. For secure destruction of bank notes, paper and other types of media, you need carefully adapted machines with specially designed rotors and cutting geometries. This ensures efficient feeding and maximum throughput with these delicate materials - saving time and effort. Via a screen, the particles leave the cutting chamber towards a hopper and are evacuated from there. By simply installing a screen with a different mesh size, the shred size of the machine can be easily adapted to the respective demand.